Breads | TastingSpoons | Page ? Posted in Breads, on July 8th, 2017. As I’m writing this, looking at the photo, my mouth is watering. Wishing I could just have one of those, right this minute. I can’t take much of any credit for these – I was at my daughter Sara’s house, and she decided on the spur of the moment, to make some biscuits. I think it was for breakfast. Sara loves to bake, and her two teenagers love it, whatever their mom makes. Sabrina is home for the summer now, from her first year at Clemson University. She loved school, the campus, the college environment (she’s pre-vet), but OH, did she miss her mom’s cooking and baking. Sara sent her a “care” package now and then, chock full of baked goodies. Anyway, Sara remembered that she’d made these before and had used a Southern Living recipe she’d found online. Sure enough, we found it and the biscuits got mixed, flattened, rolled, and flattened, cut and baked in no time. What’s unusual about these was that you grated the unsalted butter on a box grater – but from a FROZEN state. Here’s the photo I took of the mound of grated butter. THAT’s the secret to this recipe, I’m certain! Buttermilk also adds a lovely lightness to biscuits. 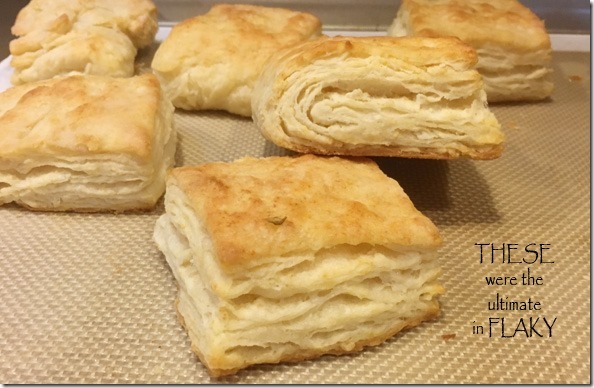 The biscuits actually get more mixing – actually rolling, followed by folding, then rolling and folding again. That’s done a few times, which helps create all those multiple layers you see in the top photo. Sara just cut them into squares and into the oven they went and were done. 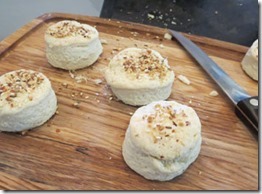 As that frozen butter melted, it created the lovely pockets of air that give these biscuits the lightest of textures. These biscuits were just sublime. Especially with a pat of butter and some preserves on top. What’s GOOD: everything about these biscuits is good – tender, rich, of course flaky, tasty. I want one right now! They’re easy to mix up and prep for cutting. Do try this recipe – it’s a winner. What’s NOT: nothing whatsoever. 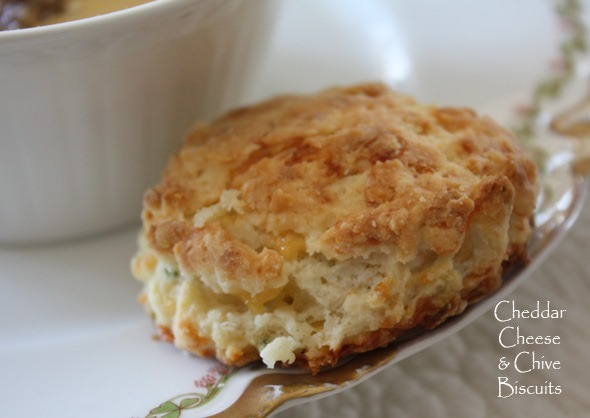 A perfect Southern biscuit, for sure. NOTE: If you don’t have self-rising flour use this formula: For each 1 cup all purpose flour add 1 1/2 teaspoons baking powder and 1/2 tsp. salt. I always use just a tad less salt. 2. Make a well in center of mixture. Add buttermilk, and stir 15 times. Dough will be sticky. Turn dough out onto a lightly floured surface. Lightly sprinkle flour over top of dough. Using a lightly floured rolling pin, roll dough into a 3/4-inch-thick rectangle (about 9 x 5 inches). Fold dough in half so short ends meet. Repeat rolling and folding process 4 more times. 3. Roll dough to 1/2-inch thickness. Cut with a 2 1/2-inch floured round cutter (OR: cut the rectangle into squares 2″, using all the dough, so it doesn’t require reshaping the scraps), reshaping scraps and flouring as needed. 4. Place dough rounds on a parchment paper-lined jelly-roll pan. Bake at 475° for 15 minutes or until lightly browned. Brush with melted butter. Serve immediately. 5. For Pillowy Dinner Rolls: Cut in 1/2 cup cold shortening instead of cold butter. You’ll get a soft biscuit that stays tender, even when cool. Plus, shortening has a neutral flavor that will complement anything on your dinner plate. 6. For Sweet Shortcakes: Add 2 Tbsp. sugar to the flour, and replace buttermilk with heavy cream. The sugar lends the biscuits a subtle sweetness, and the extra fat in heavy cream gives them a crumbly texture like shortbread. They’re the perfect base for shortcake desserts. 7. For Crunchy-Bottomed Biscuits: Warm a cast-iron skillet in the oven, and spread a bit of butter in the skillet before adding the biscuits. The bottoms will end up crunchy and golden brown and provide a sturdy base that holds up to a smothering of sausage gravy. 8. For Pickle Biscuits: Stir 4 Tbsp. drained dill pickle relish into buttermilk before adding to flour mixture. 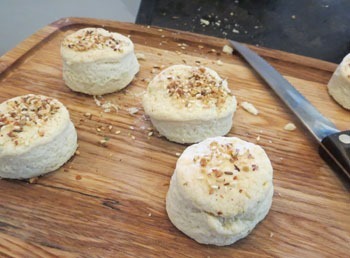 Split baked biscuits, and top with ham and mustard for the World’s Best Ham Sandwich! Per Serving: 185 Calories; 10g Fat (48.8% calories from fat); 3g Protein; 20g Carbohydrate; 1g Dietary Fiber; 27mg Cholesterol; 450mg Sodium. Posted in Breads, Desserts, on May 1st, 2017. Ever get a craving? I seem to mention them more frequently, of late. Banana bread was my craving. If I didn’t buy bananas – for them to get extra ripe – with black spots all over them – then there would never be a need for a banana bread. Right? I don’t eat many bananas – this goes back to when my DH Dave was alive and as a diabetic, he knew bananas were not very good for him – all carbs and lots of sugar. Not good for a Type 1 diabetic. SO I didn’t buy them very often – really only if I planned to bake with them. I’d read a story somewhere on the ‘net at one of the blogs I follow, about a banana bread, and in the post they mentioned the Kona Inn. Memories drifted back. Hmmm. Yes, I think I remember having had banana bread at the Kona Inn. Oh no, it was at the Willows in Honolulu. But never mind . . . it was banana bread that sparked the interest. And there was a mention of baking such banana bread with or WITHOUT pineapple. Well, I decided then and there that it needed to have pineapple. Scanning through my many recipes – and remembering my own favorite banana bread and also one that is a prize winning banana bread. also a favorite of mine too, I wanted one with pineapple. I could have adapted one of the two mentioned, but hey, I write a food blog – I need new ideas. Always! I hunted on the ‘net and found this one. It makes 2 loaves – albeit kind of shallow loaves, but still 2 loaves. It’s got lots of bananas, and it has an 8-ounce can of canned drained pineapple. And cinnamon. I added a jot of nutmeg and allspice. Just because. Otherwise it’s identical to the recipe I found at Taste of Home. It was very easy to mix up – one bowl for the dry ingredients, and another for the wet ingredients. They’re combined and poured into 2 loaf pans. Baked for an hour and it’s done. No frosting needed. What’s GOOD: definitely good banana and pineapple flavor. And cloaked in a really moist batter. Use a napkin or a paper towel to eat it because your fingers will be a bit oily. Guess that’s what makes it so good! What’s NOT: nary a thing – unless it’s waiting for the bananas to get extra ripe. 1. In a large bowl, combine the flour, sugar, salt, baking soda, allspice, nutmeg and cinnamon. In another bowl, whisk the eggs, oil and vanilla; add pineapple and bananas. Stir into the dry ingredients just until moistened. Pour into two greased 8-in. x 4-in. loaf pans. 2. Bake at 350° for 60-65 minutes or until a toothpick comes out clean. Cool for 10 minutes before removing from pans to wire racks. Yield: 2 loaves (16 slices each). Cut into relatively narrow slices and devour warm or at room temp. For longer storage, freeze. Bread is very moist (from the ample amount of oil). Serve with a napkin or paper towel as the bread is quite oily/damp. Guess that’s what makes it taste so good! Per Serving: 192 Calories; 9g Fat (42.4% calories from fat); 2g Protein; 26g Carbohydrate; 1g Dietary Fiber; 20mg Cholesterol; 113mg Sodium. Posted in Breads, on January 2nd, 2017. Light and tasty with lemon juice and lemon zest. And, topped with a really nice crumb, then lastly, drizzled with a lemon glaze. Yum. My daughter Sara raved about these muffins, so as soon as I had an excuse, I baked these for my Tuesday night bible study gathering. 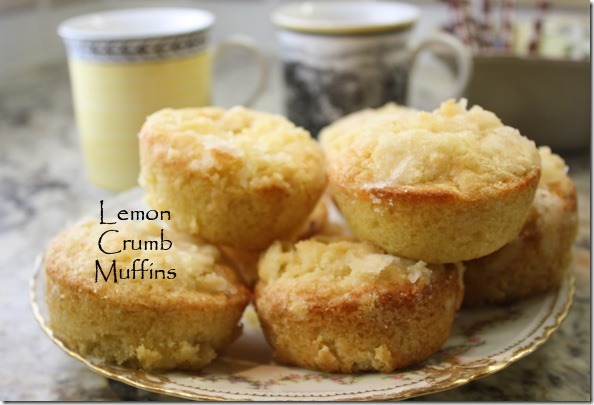 As far as muffins go, these were cinchy easy to make, as long as you have sour cream and a lemon on hand. 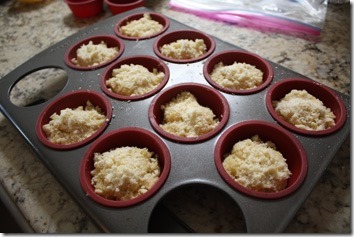 It’s an easy batter to mix up (standard ingredients), mixed with the wet ingredients and scooped into muffin cups. Then you sprinkle the crumb mixture on top. The original recipe (from Taste of Home) said it made 40, so I cut it down, and cut it down, and I got 10 from the batch, but I think I should have tried to make 9 of them so they’d have been a little taller. While the muffins are baking, you mix up the glaze and have it ready. There’s only one caution – make sure all the muffins are baked through – two of mine weren’t quite done, and after they were out of the oven and cooling, then sunk deeply in the middle. Had to toss those out. So, use a cake tester or toothpick to make sure there isn’t any batter sticking to it before you remove them. I baked them 21 minutes, but perhaps they needed 24-25. Just an FYI. I let the muffins rest for about 5 minutes before I used a small teaspoon to drizzle the lemon juice and sugar syrup on top. That little drizzle made them especially delicious, I thought. What’s GOOD: the overall lemon flavor, tender crumb to the muffins themselves, and lastly, the good lemony crunch from the drizzle. The crumbly mixture on top also gave these good texture. What’s NOT: nary a thing. 2. TOPPING: In a small bowl, combine flour and sugar; cut in butter until mixture resembles coarse crumbs. Sprinkle over batter. 3. Bake at 350° for 20-25 minutes or until a toothpick inserted near the center comes out clean. DO use a tester because if they’re under-done, they will sink in the middle. Cool for 5 minutes before removing from pans to wire racks. 4. GLAZE: In a small bowl, whisk glaze ingredients; drizzle over warm muffins. Serve warm. Per Serving: 345 Calories; 16g Fat (40.0% calories from fat); 4g Protein; 48g Carbohydrate; 1g Dietary Fiber; 84mg Cholesterol; 211mg Sodium. Posted in Breads, on July 19th, 2016. 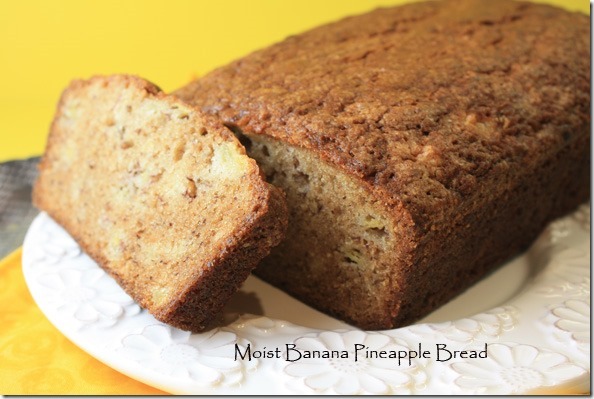 Are all banana breads the same, with not much difference? Not so! This one’s very different – not only does it have chai spices in it, but it also uses coconut palm sugar (a dark brown sugar from the coconut tree). A few weeks ago I followed a link and ended up at a blog called Indian Simmer (that I now subscribe to through my RSS reader). I suspect the blog is aimed mostly at people from India, wherever they might be living. Sometimes I don’t even recognize the names of things they talk about, but the blog is written in English and comes from the voices of five different women. 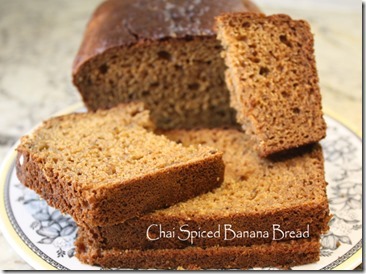 Right away I got interested in this recipe for banana bread, just because it contained chai spices. I had some aging bananas on my countertop, and I only had to go to the grocery store to buy coconut palm sugar. An item I’d never heard of – you could substitute dark brown sugar if you don’t have it, and I might do that next time. 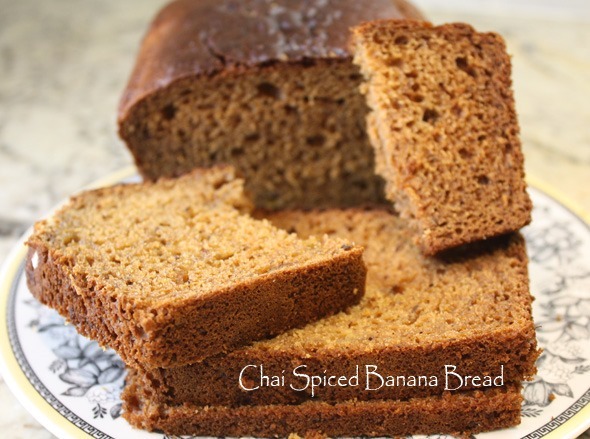 The sugar is quite dark brown in color, but also a very golden color (more like the color of gingerbread), definitely not light brown – it’s more of a caramel color, as you can see from the color of this banana bread. Since I was expecting my granddaughter Taylor (the one who just finished her freshman year at Sonoma State) and 2 of her friends to arrive from Northern California that day, I thought this would be something I could have on hand that they could snack on if they wanted to. They have reported that they like this bread very much – they took several slices wrapped in a plastic bag when they headed for the day at Disneyland. 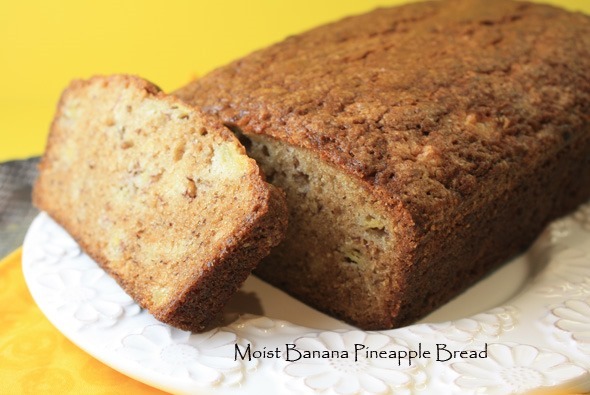 If you’re expecting regular banana bread, this isn’t it. It’s sweet. It’s spicy. It warms your mouth for sure. I thought it was better the 2nd day, actually – I was able to taste the bananas in it better on day two. First, though, you have to make the CHAI MASALA (pictured) – not a lot of difficulty to do, providing you have all the ingredients (black peppercorns, cinnamon sticks, ginger, whole nutmeg, whole cloves, whole green cardamom pods). All those things get whizzed up in a spice grinder until they’re a fine, fine powder, then you mix them together. I didn’t make a whole lot because I didn’t know what else I might use it for, although it should last 6-8 months. I made two loaves of this bread and I used about 2/3 of the mixture you see on the plate. Whatever you do, just make sure you grind the stuff to a fine powder – that’s a real requirement as you don’t want to bite into a cracked peppercorn. The only problematical ingredient here is the pepper – it’s surprising that the recipe calls for as much as it does – you might think the bread would be hot-hot, but it’s not. You do feel a warmth; that’s all and since it couldn’t come from anything else (well, maybe the ginger, but I doubt it) it must be the pepper. I suspect that amongst Indian cooks, everyone has her own combination of chai spices that she likes – maybe you like more ginger and less cloves, or more nutmeg and less pepper. That kind of thing. This combo tasted fine to me, so I’ll go with it! The bread mixes up much like any other – except that this bread contains yogurt, and olive oil plus milk and honey. All different tastes of things in this one. Into a greased loaf pan (unless you’re using one of the really nice, new pans that don’t require greasing) it goes. I have the ones from King Arthur Flour – they don’t require greasing or powdering, or lining. See photo at right with the batter just poured in. The recipe indicated the bread would be ready in 40 minutes. Uh . . . no. Definitely not cooked through. I used my instant read thermometer, and it took a full 60 minutes at 350° and it reached 198°F in the middle of the loaf. It was all I could do when I upended them to cool, not to slice into it right then and there, but I knew it needed some more resting time. I waited an hour or so, the girls had arrived and they’d not had lunch, so I sliced a few pieces and we all snacked on it before I took them out to dinner. As I’m writing this I’ve got things ready to make a chicken dish for dinner tonight, kind of like chicken fingers. A new recipe. If it’s worth its salt, then I’ll be writing it up in the next few days. Watermelons have been in a bin outside the entrance to Trader Joe’s for the last couple of months. I’ve not bought any until the other day, so I’m making one of my favorites, the Minted Watermelon Feta Salad to go along with the chicken. I made 2 of these banana bread loaves and the one in the freezer will be served to my Bible study group when they come to my house next (soon). I’ll take a photo of it then – served with the orange zested whipped cream to go along with it. What’s GOOD: this might be an acquired taste if you’re looking for regular old-fashioned banana bread. This bears little resemblance to the traditional – but, the flavor is wonderful, warmed with the spices. The texture is super-tender, but it has plenty of structure so you needn’t fear slicing into it. The yogurt likely gives it the tenderness. I loved it – almost better on the 2nd day. What’s NOT: maybe a little extra effort since you have to grind up a variety of spices to make the chai masala. Otherwise, it’s much like other banana breads as far as work is concerned. I liked it, so no complaint here. NOTES: If you don’t have coconut palm sugar, just use dark brown regular sugar. The flavor won’t be quite the same, but you might not want to buy the other. It’s a bit pricey. Next time I make it I will cut down slightly on the sugar – it was plenty sweet with a cup of the coconut palm sugar in it plus the honey. 2. In a bowl combine the flour, soda, baking powder, salt, and the chai spices. Use a whisk to combine and mix them. Set aside. 3. With mixer on medium, beat egg for about 1 minute, then add sugar, honey, milk, yogurt, vanilla. Keep beating until sugar dissolves well and the mixture gets light. 3. Add dry ingredients into the liquid ones and mix well with mixer on medium. 4. Add yogurt to the mixture while still mixing it. Turn off mixer and fold in mashed bananas until no streaks of banana are visible. 4. Pour the batter into a buttered and lined loaf pan. Place the pan into the oven and bake it for 45 minutes, then test with a knife. Continue baking for 5-minute intervals until the bread is cooked through and reaches an internal temperature of about 198°F. 5. 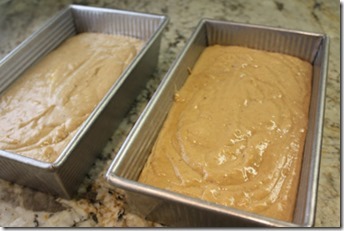 Remove from oven and allow it to cool before pulling out of the loaf pan. After 15 minutes, slide a spatula down all four sides and gently turn the loaf over into your outstretched palm and arm, then allow it to cool completely. Eat it immediately, or serve as a dessert with orange whipped cream. 6. ORANGE WHIPPED CREAM: In an electric mixer with whisk attachment, whip the ingredients together, on medium high until stiff peaks form. 7. 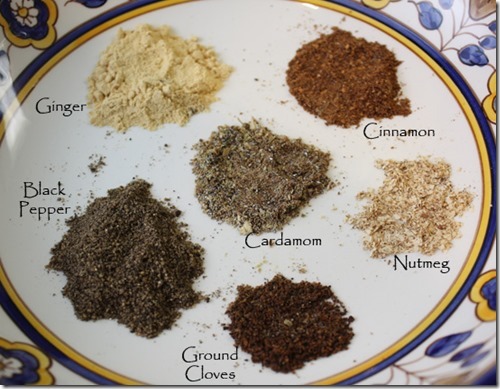 CHAI POWDER: Grind each ingredient separately in a spice grinder (or a coffee grinder that you reserve for spices), then combine them into a small jar. Keep tightly sealed and it will be usable for 6-8 months. Per Serving: 360 Calories; 12g Fat (29.8% calories from fat); 8g Protein; 58g Carbohydrate; 5g Dietary Fiber; 51mg Cholesterol; 390mg Sodium. Posted in Breads, on June 1st, 2016. Know how to pronounce it? Foo-ghass. A bread. A sort of chewy flatbread – not the thinnest type, as we often see in restaurants as a base for a semi-pizza kind of thing. No, this is an actual bread, maybe about an inch thick. This one studded with black olives (cured type). 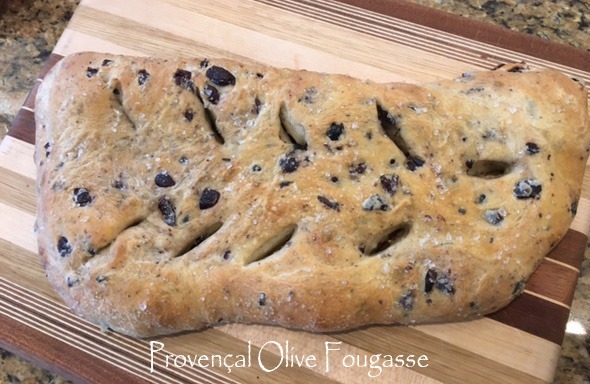 When my friend Joanne invited me for lunch a few weeks ago I didn’t know she was going to prepare lunch at her home, so it was a special treat when I spotted this bread sitting on her kitchen counter and learned we would have some of it for our lunch. Oh, was it good. Chewy, still almost warm from the oven. The recipe came from Dorie Greenspan’s cookbook, Around My French Table: More than 300 Recipes from My Home to Yours . 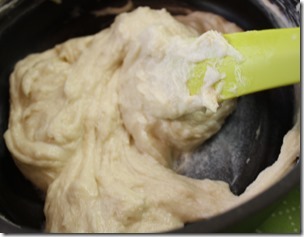 The dough is mixed (preferably with your stand mixer and the dough hook – makes it really easy). The batter/dough is allowed to rise for a couple of hours, then you turn it over inside the rising bowl, stirring and deflating it, cover, then you simply put it in the refrigerator overnight. In the morning, or the next day, you kind of pour it out onto a work surface, roll it out into 2 rectangles, put them on rimmed baking sheets, sprinkling it with flour as you move it. You cut those holes into the dough (all the way through) and allow the bread to rise again out on your countertop (covered). They’re glazed with a bit of oil and sprinkled with kosher salt and you poke it all over with a fork. Then bake it in a hot-hot oven for 10 minutes, turn it and reverse the baking sheets, and bake another 10 minutes and it’s DONE. How easy was that? The original recipe called for both oil packed sun dried tomatoes, rosemary and olives. Joanne only used the olives plus rosemary from her garden. I read that bacon is a very common addition to fougasse when you eat it in France. But, you can also use some dried fruit and nuts (not with the olives) to make it a bit different. What’s really nice about this is you make enough for 2 breads – you can bake one and leave the other one for another day or so in the refrigerator and bake the 2nd one later. Joanne and Larry had taken the first loaf to a neighborhood gathering and she said everyone raved about the warm bread. I raved too when she baked the 2nd one for our lunch. It was wonderful with the Nicoise salad. You need only plan to let it rise the 2nd time for about an hour or so and bake for 20 minutes. Again, thank you, Joanne! What’s GOOD: what’s there NOT to like about freshly baked yeast bread. I’m a sucker for fresh bread anytime, anywhere. This one was lovely with the salad lunch. My friend Joanne made this one, but it’s easy and I’ll definitely remember this for some upcoming evening when I’m entertaining. It’s so EASY! What’s NOT: well, you do have to plan ahead – this needs to be refrigerated at least overnight and allow for two rising times. One at first when you mix it up, then again before you bake it. That’s the only down side to making any kind of yeast bread. But this one’s worth the effort. 1. Pour 2/3 cup warm water into 2-cup measuring cup. Sprinkle yeast, then sugar over; stir to blend. Let stand until yeast dissolves and mixture bubbles, 5 to 7 minutes. Add 1 cup warm water and 4 1/2 tablespoons oil. 2. Mix flour and 1 1/4 teaspoons salt in bowl of heavy-duty mixer. Pour in yeast mixture. Attach dough hook; beat at medium-low speed until flour is moistened but looks shaggy, about 3 minutes. Increase speed to medium; beat until dough pulls away from sides of bowl and climbs hook, about 10 minutes (dough will be like sticky batter). 3. Mix olives, tomatoes (if using), rosemary, and lemon peel in medium bowl. Add to dough and beat 1 minute. Using sturdy spatula, stir dough by hand to blend. 4. Lightly oil large bowl. Scrape dough into bowl. Brush top of dough with oil. Brush plastic wrap with oil; cover bowl, oiled side down. Let dough rise in warm draft-free area until doubled, 1 to 2 hours. 5. Gently turn dough several times with spatula to deflate. Re-cover bowl with oiled plastic; chill overnight (dough will rise). 6. Sprinkle 2 large rimmed baking sheets with flour. Using spatula, deflate dough by stirring or folding over several times. Divide dough into 2 equal pieces. Place 1 piece on floured work surface; sprinkle with flour. Roll out dough to 12×8- to 12×9-inch rectangle, sprinkling with flour to keep from sticking. Transfer dough to sheet. 7. Using very sharp small knife, cut four 2-inch-long diagonal slashes just to right of center of rectangle and 4 more just to left of center to create pattern resembling leaf veins. Pull slashes apart with fingertips to make 3/4- to 1-inch-wide openings. 8. Repeat with remaining dough. Cover dough with towel. Let rest 20 minutes. Beat 2 teaspoons water and 1 tablespoon oil in small bowl to blend for glaze. 9. Position 1 rack in top third and 1 rack in bottom third of oven; preheat to 450°F. Brush fougasses with glaze; sprinkle with coarse salt and pierce all over with fork. 10. Bake fougasses 10 minutes. Reverse position of baking sheets and turn around. Bake fougasses until golden, about 10 minutes. Transfer to racks; cool 15 minutes. Serve warm or at room temperature. Per Serving: 244 Calories; 10g Fat (37.0% calories from fat); 5g Protein; 34g Carbohydrate; 2g Dietary Fiber; 0mg Cholesterol; 591mg Sodium. Posted in Breads, Desserts, on February 28th, 2016. Oh, what a lovely slice of deliciousness. Coconut flavor in the bread and on the top, and lemon caramel drizzled over the top. This one’s really, really good! One of my book clubs came to my house awhile back, and not only did I review a book (The Unlikely Pilgrimage of Harold Fry: A Novel by Rachel Joyce), but I also needed to prepare some mid-morning food for everyone who came. We had a really interesting discussion about this book. It’s one of my favorite books I’ve read in the last couple of years and I think this book “experience” was enhanced by a group discussion. I made coffee, had fresh fruit, some Biscoff cookies, this bread, and also some chocolate/banana small cake bites too. I’ll write up the cake recipe too – soon. When everyone left, I packaged up everything and put it in a big ziploc bag in the freezer for my Scrabble group that came to my house a couple of weeks later. But I’ll tell you – I had a hard time staying out of that bag during the ensuing weeks because I wanted some of this bread. 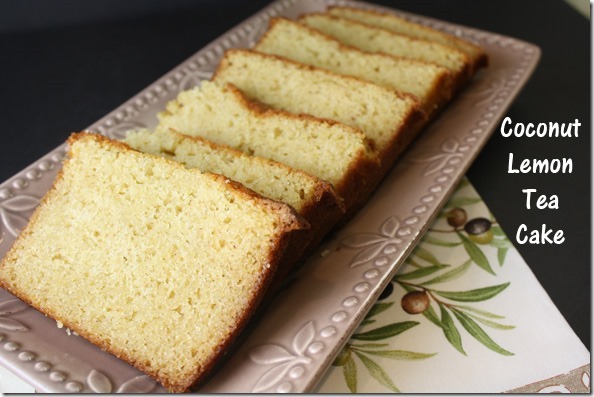 The recipe – I read about it on Orangette, but it comes from a book titled Lemons by Alison Roman (not available at amazon). I’ll need to frequent some used book stores to see if I can find it. You can buy it from the publisher for $14, (which seems pricey for a 48 page cookbook), so I’d like to find a used copy if I can do so. I have a couple of lemon cookbooks, but if this recipe is any representation of what’s contained in that cookbook, then I need to own it! 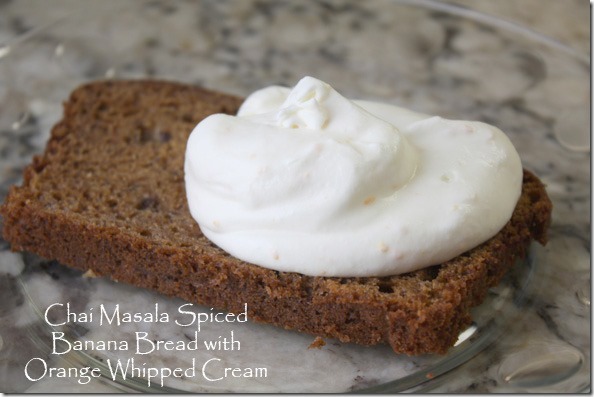 The recipe is just slightly different than most tea bread recipes, in that it uses coconut oil (melted). And it does have a coconut topping that’s baked along with the bread. Then you make a lemon juice mixture to go on top. Here’s where my cooking went off the track (in a good way). I set the lemon juice and sugar in a small saucepan on the stove, then walked 10 feet away and began working on something here at my computer. I lost track of time, and the aroma of lemon juice/sugar didn’t seem to alert me that I needed to get back to it. When I finally smelled it, I dashed over to the stove and discovered that the mixture had turned to a light brown caramel. I didn’t want to make another batch, so I just used it anyway – I used a spoon to drizzle the lemon-caramel over the top of the finished bread. It was a delightful change/mistake that I’ll probably do the next time I make it, so I’ve included it in my recipe below. 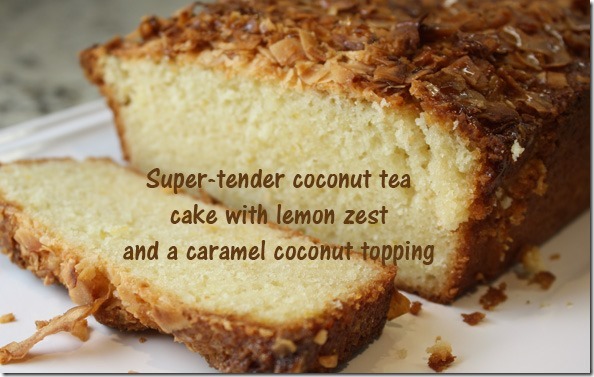 It gave it a lovely crunch, in addition to the unsweetened coconut flakes that were also slightly crunchy. What’s GOOD: the coconut and lemon flavors are prominent (which I liked). There isn’t much of anything made with lemon that I don’t like, but this tea cake is particularly good, and I want to bake it again, because I didn’t have enough of it the first time around. What’s NOT: not a single thing. Worth making for sure. 1. Preheat the oven to 350°F. Grease a (9×5 approximately) loaf pan lightly with cooking spray or butter, and line it with parchment paper. Grease that too (with difficulty). If you have a nonstick pan, this step may not be necessary. 2. In a medium bowl, whisk the flour, baking powder, and kosher salt. 3. In a large bowl, rub 1 cup of the sugar with the lemon zest until the sugar is fragrant and yellow and smells like you just rubbed a lemon in there. Whisk in the yogurt, melted coconut oil, and eggs. Add the flour mixture, and stir just to blend. 5. During the last 10 minutes or so the cake is baking, combine the lemon juice and remaining ¼ cup of sugar in a small saucepan, and bring it to a simmer. Cook, stirring occasionally, until the sugar has dissolved. Then continue simmering until the mixture has turned golden brown (caramel), but don’t let it burn. Remove cake from oven, and leaving it in the cakepan, drizzle this mixture over the top of the teacake with a spoon, keeping all of it on top (not down the sides). Allow cake to cool completely before removing the cake and serving. Cut pieces a bit thicker than normal as the topping is crunchy and you’ll tear it as you slice. Hold your hand across the top (at the top of both sides) as you slice between two fingers (carefully) each piece so each slices stay whole. Per Serving: 328 Calories; 15g Fat (40.4% calories from fat); 4g Protein; 45g Carbohydrate; 1g Dietary Fiber; 55mg Cholesterol; 291mg Sodium. Posted in Breads, Brunch, on August 27th, 2015. Recently I was asked to bring a coffeecake to a meeting. My mind said, “why not make something different.” This was the result. It’s a yeast-raised cake which is really more like a bread, a sweet bread, but still it has the consistency of bread, not the fine crumb of a more traditional cake-type coffeecake. It’s a sweet bread, using yeast, that has a topping on it that’s mostly brown sugar, and once baked and cooled, the whole thing is split horizontally and filled with a rather different kind of buttercream filling. I’d read about this cake back in 2013 on the King Arthur baking blog. It had such an unusual story – I’m a sucker for a good, heartwarming story anytime – especially old-fashioned kinds of recipes, and this is one. It seems there was this nice lady named Doris Knutson, from Wisconsin, who was quite famous in her local circles for this very special coffeecake. And no, she absolutely did not, would not give the recipe to anyone. So the story goes, upon her death, her children made a photocopy of what they had and it was distributed at her funeral. Everything was there, but when some folks tried it, it wasn’t working real well. One of Doris’ friends sent the recipe and an plea to the test kitchen at King Arthur, along with a detailed explanation and in came King Arthur to the rescue. King Arthur went to work on the recipe, trying to figure out exactly how she used the different ingredients (there’s a batter, a topping and a filling) to make this really unusual coffeecake. 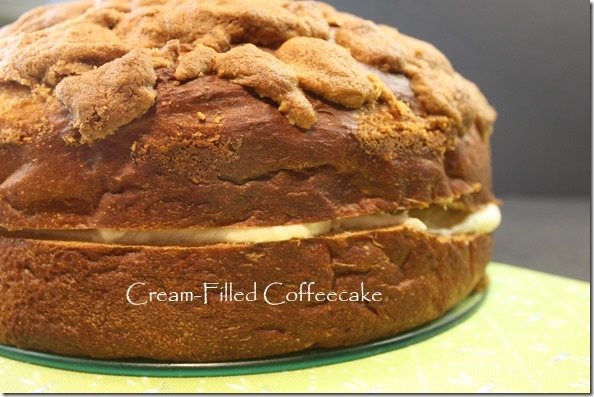 The folks at King Arthur believe they cracked the code and this coffeecake is the result. There at left is the filling – I call it a “gravy,” (see down 2 paragraphs for a full explanation). If you decide to make this, I recommend you read the recipe all the way through once. Then take a breath and read it again all the way through before you actually begin making it. There are lots of steps (not difficult) but there is a procedure. King Arthur updated it so you can do some of the work in your bread machine (I did). It also rises a couple of times, and mine took longer than the recipe indicated. you’ll read all the failures they had before they finally got it to work. Some people use two 8-inch round cake pans – that might be a good thought – especially if you don’t have a 10-inch springform. Mine is about 9 3/4 inches so I assumed it would work (it did). The filling is very unusual – if you go to the entire article at King Arthur, you can read down through all the comments (which are interesting in themselves, including one from Doris’ daughter). Anyway, the filling is a roux – but not a browned roux with fat. This roux contains flour and milk and it’s cooked to a consistency more like a gravy (to me anyway). Then you add a fluffed up mixture of butter and powdered sugar. Very different, though when you’re done it has the consistency of frosting. The dough is made first, and as I explained, because King Arthur suggested it, I made it in my bread machine. First I set it on the dough cycle, let it sit 30 minutes, then I re-started the dough cycle, adding in the additional flour, so then it went for 1 1/2 hours until it had about doubled in bulk. I rolled it out of the bread machine and kneaded it a little bit (it was quite sticky), so I actually just held it in my hands and pushed and mushed to get all the air bubbles out. At that point the dough is placed in a 10-inch springform pan (greased). Some people add the topping part way through this next rising – I added it at the end and had to kind of stick the pieces onto the dough. It might be a good idea to put on a egg wash and then the topping would stick pretty well, I think. This rising took longer than the recipe indicated – they said 1 1/2 hours, but mine took about 2 hours – to get the dough to rise about an inch above the pan. It’s a good thing I started making this at about 2pm, otherwise I’d have been up half the night! As it was it finished baking at about 8pm and I just let it sit in the springform pan overnight. I baked it per the recipe, 45 minutes, and my Thermapen registered 198°. 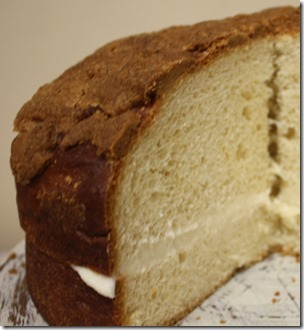 The next morning I sliced the cake/bread in half horizontally and made the filling. Do read the instructions carefully about this – be sure the gravy or roux cools before you add the butter and powdered sugar as you don’t want any melting butter! The filling is spread on the bottom half, then the top is placed back on the bread and it’s supposed to be chilled for 30 minutes or more. I don’t really know what that does for it, but I did comply. Do use a serrated knife to cut it. My bread knife doesn’t have a pointed end, so it didn’t work well trying to cut wedges. I finally used a shorter serrated knife to cut a round plug-shaped size in the middle, then the wedges were easier to slice since they weren’t as deep. MY SUGGESTION: I think this bread needs more filling, so if I were to make it again I would probably triple the filling (there isn’t all that much of it anyway) and cut 2 horizontal slices and slather the filling on both. That way you’d have enough of the filling with each slice. The bread, by itself, isn’t dry exactly, but it’s like eating a slice of bread, so usually we have butter, or jam or something to go on it. The same is true here, so the top half was a little lacking in enough to wash it down. You’d have to be very careful slicing it if you used 2 layers of filling. But I’d still try it anyway. What’s GOOD: the cake/bread is very tasty. It’s a traditional sweet bread yeast recipe. What makes this different is the filling (1) and the topping (2). And baking it in a springform pan is different too. Don’t expect this to taste like a cake dessert cuz it isn’t! But it’s very good. Different. I liked that part. I can’t say that I had all that any of my lady friends come to me begging for the recipe, though. This morning I put a bit of butter on one of the left over slices (there were only 2 pieces left) and had that with my breakfast. What’s NOT: do remember it’s a yeast bread and requires 3 rising times – it takes 5+ hours to make. TIPS from King Arthur bakers: (1) If you’d like to have two smaller coffeecakes (one to give, or one to freeze), leave the dough recipe as is; multiply the topping and filling ingredients by 1 1/2, and divide the dough between two 8″ round pans. The baking time will be about 5 minutes shorter. (2) Be careful combining the two parts of the filling. Whisk together gently, just until they’re mixed. Whipping vigorously at this point will make the filling appear curdled. It will still taste great, it’ll just be a little raggedy-looking. 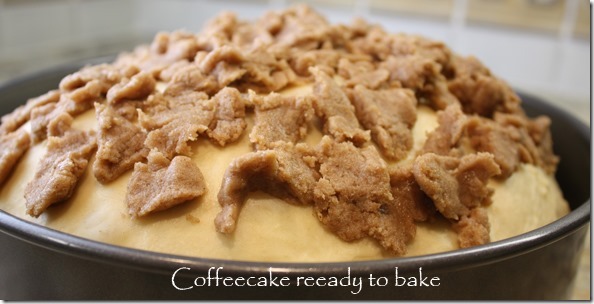 (3) This coffeecake freezes very well with no fuss. Finish the recipe all the way, including filling the cake, then put it in a cake carrier and freeze for up to 2 weeks. 1. DOUGH: In a large bowl or the pan of your bread machine, combine the sugar and salt. Heat the milk and butter together until the butter is melted, and pour over the sugar and salt. Stir until the sugar dissolves. Add the water, eggs, and vanilla, stirring to combine. Let the mixture rest until it cools to lukewarm. Stir in the yeast and the 2 1/2 cups flour. Cover and let rest for 30 minutes. 2. Add the additional 1 1/2 to 1 3/4 cups flour; start with the smaller amount and see how the dough behaves, adding 1/4 cup more if it’s still very sticky. Mix and knead for 6 to 8 minutes at slow to medium speed with your mixer; or use the dough cycle on your bread machine. 3. The dough will be soft, smooth, and silky; perhaps just slightly sticky to the touch. Cover the dough and let it rise in a warm place for 1 1/2 hours, until puffy-looking and almost doubled. Or let your bread machine finish its cycle. 4. TOPPING: Combine the brown sugar, butter, salt, cinnamon, and flour, mixing with a fork or your fingers until crumbs form. Set aside. 5. To shape and bake the cake: Deflate the dough, round it into a ball, and place it into a greased 10″ springform pan. Cover with greased plastic or a large inverted bowl until the dough domes an inch above the rim of the pan, about 45 minutes. While the dough is rising, preheat the oven to 350°F. When the dough is ready, sprinkle it with the topping (some will slide down). Bake the cake for 45 to 50 minutes, until a paring knife inserted into the center comes out clean. Remove the cake from the oven and cool it in the pan on a rack for 10 minutes before tilting it out of the pan and returning it to the rack to cool completely. 6. FILLING: Because this is a bread (not a sweet cake-type coffeecake) it needs more moisture – I recommend tripling the amount of filling, cutting it into 3 layers and using, then, more filling in between the 2 layers.) While the cake cools, put the flour in a small saucepan. Add the milk a little at a time, stirring to make a smooth mixture. Use a wire whisk to make sure you don’t have lumps, and keep using it when you’re cooking it. It takes very little time to get to a thick gravy-consistency. 7. Cook the flour and milk over medium-low heat until the mixture thickens. Remove from the heat and cool. In a small mixing bowl, beat the butter and confectioners’ sugar together until light and fluffy. Add the vanilla, then whisk into the flour/milk mixture. 8. To assemble: Split the cooled cake horizontally, and spread the filling on the bottom layer. Replace the top and refrigerate the cake until 30 minutes before serving. Per Serving: 263 Calories; 11g Fat (36.4% calories from fat); 5g Protein; 37g Carbohydrate; 1g Dietary Fiber; 49mg Cholesterol; 79mg Sodium. Posted in Appetizers, Breads, easy, on May 28th, 2015. I thought I’d taken a photo of this when it was baked, but I guess I didn’t. This is one of those big monster loaves of bread, cut into little towers you pull off, with a mixture of pesto inside, then with oodles of mozzarella cheese all over it. I was visiting with daughter Sara awhile back – I’d forgotten about posting this one – it was before I went on my April/May trip to Europe. Anyway, Sara invited all of her husband’s extended family over for a Sunday night dinner. I helped Sara some with preparations, and she handed me the ingredients for this, and said “go for it, Mom.” I’d made one of these before, about 7-8 years ago, but it was a slightly different variation of the same – that older one with cream cheese and goat cheese, from an old friend, Karen. This one with mozzarella only. By far, this one was easier to make, but both were fabulous. If you consider making this, please don’t look at the calories or fat, okay? Just know it’s probably not good for us, but it’s a treat. There were 4 children at Sara’s that day (ages 11-17) and they gobbled this up in no time flat. Most of the adults got a taste or two. Where I was sitting at Sara’s kitchen counter, it was put right in front of me, so I did get to sample more than some people did. I could have made a meal of it – in fact, after a few pieces I was almost full. Sara bought the loaf of bread at Costco – a big, round loaf. You must buy an unsliced round loaf, then you slice it both directions in about 3/4 inch slices, but not down through the bottom crust, so it stays in place. I cut the bread too deep – it should have stood up a little bit better than it did, but hey, it made no-never-mind to the taste. You slather ready made pesto (Trader Joe’s and Costco both carry it now), then sprinkle shredded mozzarella all over it. Into an oven it goes, and once the mozzarella is fully melted, pull it out. Let it sit for a couple of minutes before serving as you could easily burn your mouth if it’s too hot. You’ll hear raves, I promise. What’s GOOD: well, the taste! It’s delicious. The better the cheese you buy (like whole milk mozzarella, and/or mix in some provolone) the better it will taste. If you make your own pesto it’s probably better than store bought. But make it easy – buy ready made pesto, but don’t, please, buy already shredded mozzarella. You know the cheese producers put something on that so the cheese doesn’t clump. Whatever it is, it dilutes flavor, or else they don’t use very good cheese to begin with. So make it with good cheese. What’s NOT: the only thing I can say is that the slicing and slathering is a little bit fussy, but it doesn’t take all that much time. It’s fairly straight forward and you’ll have it ready in about 10-15 minutes max. You can probably do it ahead and refrigerate it (covered) for an hour or two. It might not even need refrigeration if you made it 2 hours ahead. Don’t quote me – don’t sue me! There’s no mayo in this, so it shouldn’t be a problem. 1. Preheat the oven to 350°. Line a baking sheet with aluminum foil or parchment paper. 2. Prepare the bread: Score the bread lengthwise as you would to slice the loaf into 1/2 to 3/4″ thick slices, but do not cut through the bottom. Turn the loaf a quarter turn, and slice the bread the other direction, but only slice it to about 1″ from the bottom. You’ll end up with a whole, round loaf of little towers or fingers of bread. 3. 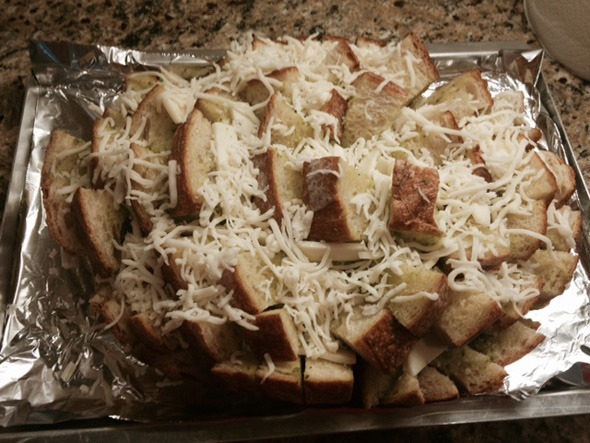 Use a spatula or butter knife to spread pesto in all the edges and crevices, down deep in the bread. 4. Sprinkle shredded mozzarella inside the all the nooks and crannies, pushing it in so that the cheese doesn’t melt off the edges/sides. Per Serving: 394 Calories; 33g Fat (74.4% calories from fat); 19g Protein; 6g Carbohydrate; 1g Dietary Fiber; 62mg Cholesterol; 533mg Sodium. Posted in Breads, on April 19th, 2015. What’s there not to like about a rich biscuit? And filled with cheese? Here I made them to accompany a bowl of that Cheese and Ale Soup I told you about a few weeks ago. You can barely see a bit of it up in the top left corner. Back when I made the soup the first time – the Cheddar and Ale Soup with Bacon and Shallots, I was testing it to serve at a lunch tea I was hosting at my home. It was a fundraiser for my PEO Chapter. There were 10 of us (8 guests and my co-hostess Linda, and myself) who came in early March. 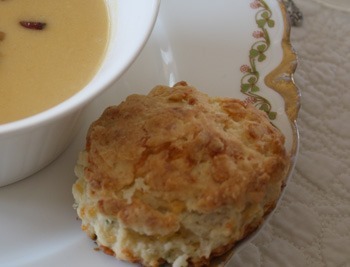 First we served the soup, sprinkled with shallots and bacon with this biscuit on the side. 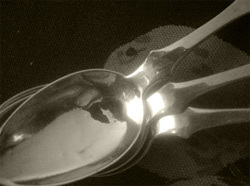 Butter was on the table, and everybody loved the soup – every bowl was scraped clean. Then I did a tea demonstration. First I explained some little known history of tea – dating back to 2737BC (did you know that – the first known tea dates back that far in China?). I discussed types of teas (there are only 2-3 main categories of black tea) and the components of each one. As a young person all I knew was Lipton tea bags and an occasional cup of Constant Comment. So, I told the story of when I was first introduced to REAL tea, as I called it “praw-per” tea from my dear, dear friend in England, Pamela. And I opened 3 different tins of tea (Darjeeling, English Breakfast and Lapsang Souchong [a smoky tea, favored by Winston Churchill, in case you wanted to know]) to pass around the table for each person to smell. I also passed a jar of Lady Grey tea (a milder form of Earl Grey), and a packet of one of my favorites, Marco Polo, a blend from a tea shop in Paris called Mariage Frères (if you are interested, you can google it – you can buy it here and on their website, but expensive) that my friend Yvette introduced me to about 8-10 years ago. At my lunch tea I demonstrated how to make a proper pot, from the water, the pot itself, the tea, the steeping, the straining, the tea cosy, milk, sugar, etc. First I made a pot of blended tea (a mixture of mostly Darjeeling and English Breakfast, with a small amount of Lapsang Souchong) that my friend Pamela introduced me to, back in 1981. We poured each guest a small cup (very proper decorated English bone China cups and saucers) so they could taste it. A couple of them weren’t so enamored with the smoky part. This was almost like a wine tasting, or an olive oil tasting. Guests could throw out the remains if they didn’t like it. Then I made a pot of the Lady Grey. Several ladies really liked that – it’s made by Twining’s. The story is interesting – it seems that the Nordic people do love tea, but they generally didn’t like Earl Grey – too pungent most complained. So in the 90s, Twinings decided to make a “new” blend, with less oil of Bergamot (that’s what makes Earl Grey distinctive) and some citrus notes to market to the Norwegian population, to resounding success, apparently. If you’re interested you can get it at Amazon: Classics Lady Grey Tea 20 Bag in several shapes, sizes and loose or bagged. I bought my box of it in England many years ago, and even after all these years, it’s still just fine. They’re sealed up well, however. Then lastly, I made a pot of Marco Polo (I gave them a choice, but most wanted to try it). It got raves by more of the ladies. That tea, from Mariage Frères in Paris (in the Marais district), is their unique blend. So I read somewhere, it has Chinese and Tibetan flowers plus berries and fruit, in a bold black tea. It’s very different from Earl Grey. No bergamot for sure. The Marco Polo has become SO popular at the tea store, they now have about 10 varieties. Click this link to see them all. I have the standard Marco Polo, none of the other variations. 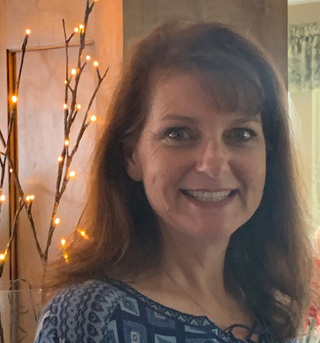 During the tea part of our luncheon, I served my favorite Buttermilk Scones, that I’ve been making for about 30 years (half with lemon zest, the other half with added golden raisins), some absolutely gorgeous, huge stemmed strawbe rries and an apricot tea square Linda brought. Along with my home made lemon curd and crème fraiche. And apricot jam. And more tea. We had a lovely time. All that said, these biscuits – well, they’re a recipe from a restaurant in Encinitas (in San Diego County) called Solace and The Moonlight Lounge. It’s been at least 8-10 months ago my San Diego good friend Linda and I went there for dinner or lunch and we’d been told to be sure to order their biscuits. They brought them first, still warm, along with an orange honey butter to go with it. The recipe for that is down below in the next paragraph. Oh my goodness. Well, awhile after that, the recipe was printed in the Union-Tribune, so Linda sent it to me. Thank you, Linda. They’re as simple as any biscuit, really. It does require buttermilk, though. And it’s heavy on the butter! But oh, so good. What’s GOOD: they’re a rich biscuit (meaning there’s more butter than standard). 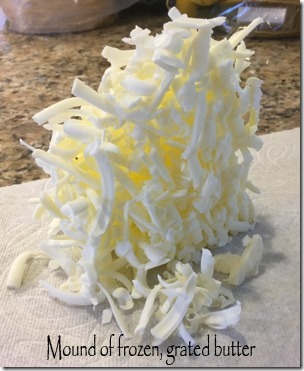 The kind of cheese makes a difference – I used half Irish sharp white cheddar and some Tillamook sharp cheddar (yellow) and a bunch of fresh chives minced up. They taste wonderful. You might, just might, be able to eat them without adding butter on top, but if you’re going to indulge, go for added butter! At the restaurant they serve it with orange honey butter (1/4 pound unsalted butter whipped well to make it light, 1/4+ tsp orange zest, 3/4 tsp honey, a couple of dashes of salt and 1/8 tsp minced garlic, mixed well, refrigerated, then allowed to warm back up to room temp). What’s NOT: nothing that I can think of – need to have buttermilk on hand and fresh chives (or you could probably substitute parsley). Serve while they’re hot from the oven. 1. Sift together flours, baking powder and salt. Add butter, chives and cheeses and mis with a pastry knife or a paddle attachment of a mixer on low speed for 2-3 minutes ti incorporate the butter. There should still be small, pea-sized chunks of butter; this will make the biscuits flaky. At this point you can store in a plastic bag in the refrigerator for a day or two if necessary. 2. Slowly add buttermilk, starting with 1 cup and fold together for about 10 seconds. Move the ingredients around by hand and pour the remaining 1/4 cup buttermilk into the bottom of the bowl to make sure the moisture gets there. Mix again for just a few seconds. Add another 1/4 cup buttermilk if the dough hasn’t pulled together. Do not over mix the dough. 3. Turn out onto a floured surface and knead 2-3 times only. Handle the dough as sparingly as possible to keep the butter form melting. Using your fingertips, flatten dough out to about 3/4 inch thick and brush the top with egg whites. Cut into desired shape. 4. Preheat oven to 425°. Line a heavy baking sheet with parchment paper. Bake biscuits in the middle of the oven for 17-20 minutes or until golden brown. If you have a convection oven, bake at 400° for 12-14 minutes. You can crack one biscuit open to make sure it is cooked through. If it is not, reduce oven temp to 250° and check again in about 2 minutes. You can bake these ahead of time; when ready to serve, reheat. Be certain the biscuits are fully cooked through, however, as they will fall while they’re cooling. ORANGE HONEY BUTTER: If you want to serve these with what they do at the restaurant, add this: 1/2 pound unsalted butter, 3/4 tsp grated orange zest, 1 1/2 tsp honey, 3/4 tsp salt, 1/4 T garlic, minced: Whip butter in mixer for 10 minutes until light and airy. Add remaining ingredients and whip for another 8 minutes. Use immediately, or refrigerator, but let it warm back to room temperature before serving. Per Serving: 253 Calories; 15g Fat (53.3% calories from fat); 8g Protein; 22g Carbohydrate; trace Dietary Fiber; 44mg Cholesterol; 339mg Sodium. Posted in Appetizers, Breads, on February 3rd, 2015. Having never heard of Dukka before, I was intrigued. Even when we visited Egypt in 1997, I don’t recall anyone talking about Dukka, nor did I see it on any menus. Unfortunately I didn’t get to the spice market there, either. In the picture above you can’t actually see the Dukka because it’s on the biscuits. Dakka (also Dukka, or Duqqa) (Egyptian Arabic): is an Egyptian condiment consisting of a mixture of herbs, nuts (usually hazelnut), and spices. It is typically used as a dip with bread or fresh vegetables for an hors d’œuvre. Pre-made versions of dakka can be bought in the spice markets of Cairo, with the simplest version being crushed mint, salt and pepper which are sold in paper cones. The packaged variety is found in markets that is composed of parched wheat flour mixed with cumin and caraway. [It may also contain things like] sesame, coriander, cumin, salt and pepper. Reference to a 19th-century text lists marjoram, mint, zaatar and chickpeas as further ingredients that can be used in the mixture. 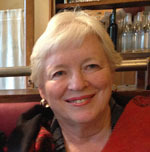 A report from 1978 indicates that even further ingredients can be used, such as nigella, millet flour and dried cheese. Some commercial variants include pine nuts, pumpkin seeds or sunflower seeds. Most versions contain some kind of nuts such as cashews, pistachios, almonds or hazelnuts, with hazelnuts being a common one, also cashews. It sounds like every household cook has his/her own version of it, or maybe varies depending on which nuts and seeds are in the house at the moment. I found one other good-sounding recipe for dukka at Food & Wine. The bacon-tomato jam is pretty straight-forward. Cook the bacon, drain, add everything else and simmer for 1 to 1 1/2 hours until it’s cooked down to a jam-like consistency. You can make this ahead, just reheat it before serving. The biscuits are all quite simple too – it’s a buttermilk biscuit, plain and simple. They’re dipped in dukka, though, before baking, and the tops are brushed with buttermilk and more dukka is added there. 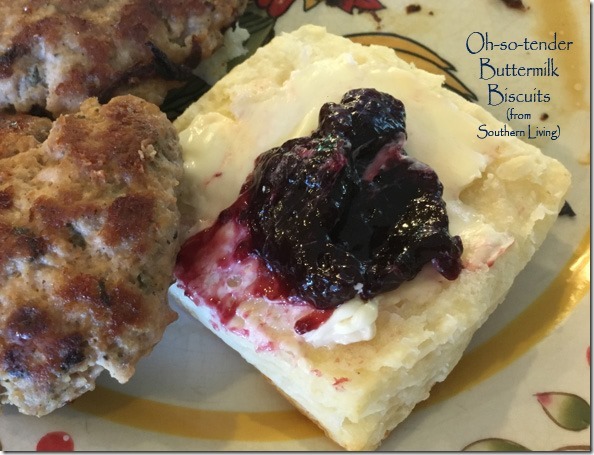 Cool the biscuits, split them, spread with the jam, and serve. Done. What’s GOOD: I absolutely LOVED these appetizers. For me, it was the bacon that did it. The Dukka wasn’t all that prominent in the flavors, but then I didn’t do a taste test of just the biscuits and Dukka. I think Dukka, in Egypt for sure, is probably a next-to-the-stove condiment that’s probably made up in quantity and used on just about everything. Like we have salt and pepper – they have Dukka. What’s NOT: a bit of preparation here – both the jam and the Dukka. The biscuits need to be made fresh – don’t make them the day before. Make maybe half an hour before you need to serve them. They’d be particularly nice served warm. 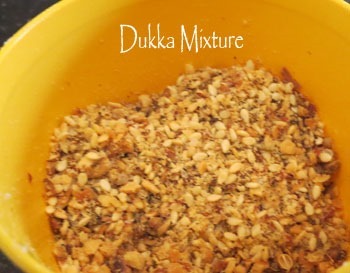 NOTES: The Dukka mixture can be made up in advance, and will keep for about a month in a sealed plastic bag or jar. The recipe for Dukka makes more than you’ll need for this recipe. 1. 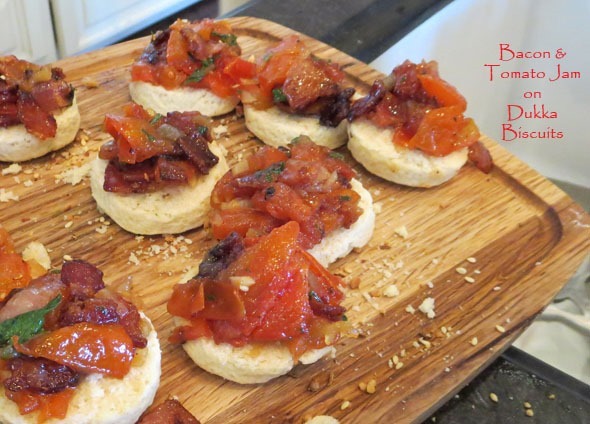 BACON-TOMATO JAM: Cook the bacon in a large saute pan until crisp. Transfer to a paper-towel lined plate and discard drippings. 2. Add tomatoes, onions, sugars, vinegar, garlic, pepper flakes and bacon, and bring mixture to a boil, stirring often. Simmer, stirring occasionally, until thick and jam-like consistency, about 1 1/4 to 1 1/2 hours. Stir in the parsley and season with salt and pepper to taste. This can be made a day or two ahead. Reheat before serving. 3. BISCUITS: Preheat oven to 350° and position a rack in the center. 4. Pulse flour, baking powder and salt in a food processor until combined. Pulse in the chopped-up chilled butter. Add buttermilk and continue pulsing ONLY until the dough barely comes together. 5. Transfer dough to a work surface and pat and roll out to 1 inch depth. Use a floured 2-inch round cutter and cut out as many biscuits as you can. 6. Dip the bottoms into Dukka mixture and transfer the biscuits to a parchment lined baking sheet. Gently gather the remaining dough scraps and press them into a 1-inch deep round. Cut out more biscuits, dip them in Dukka and transfer to baking sheet. 7. Brust the tops with buttermilk and sprinkle with additional Dukka. 8. Bake biscuits until golden brown, about 15-20 minutes. Remove from the oven and let cool on a rack. Split and spread each biscuit (cut side up) with bacon-tomato jam. This assumes each person will eat two biscuit halves. 9. DUKKA: Preheat the oven to 350°. 10. Spread the nuts on a baking sheet and toast for about 8 minutes, until golden. Coarsely chop the nuts. 11. In a skillet, toast the seeds over moderate heat until fragrant, about 2 minutes. Transfer to a food processor and pulse until chopped along with the chopped nuts and pulse until coarsely ground. Transfer the dukka to a bowl, add salt and pepper, and allow to cool. Store in a plastic bag or sealed jar. Will keep for about a month. Per Serving (you’ll have left over jam and Dukka, so this is likely very high): 548 Calories; 32g Fat (52.6% calories from fat); 18g Protein; 47g Carbohydrate; 2g Dietary Fiber; 64mg Cholesterol; 1192mg Sodium.